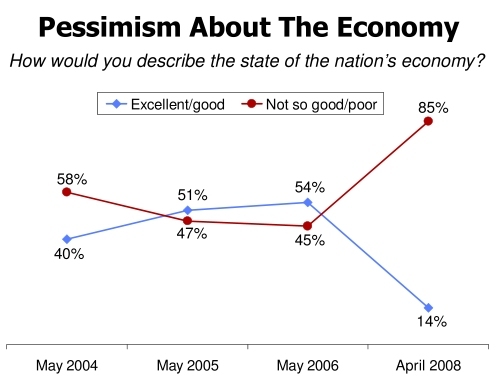 In our May 2008 survey, we found that although opposition to the war in Iraq remained strong on U.S. campuses, American college students were even more worried about the state of the economy. College students were eager for a change in national leadership and expressed deep disappointment with the nation’s political leadership. Despite declining confidence in the country’s general direction, student interest in the national political scene was on the rise and substantial numbers of students included careers with a public service focus among their preferred career choices.